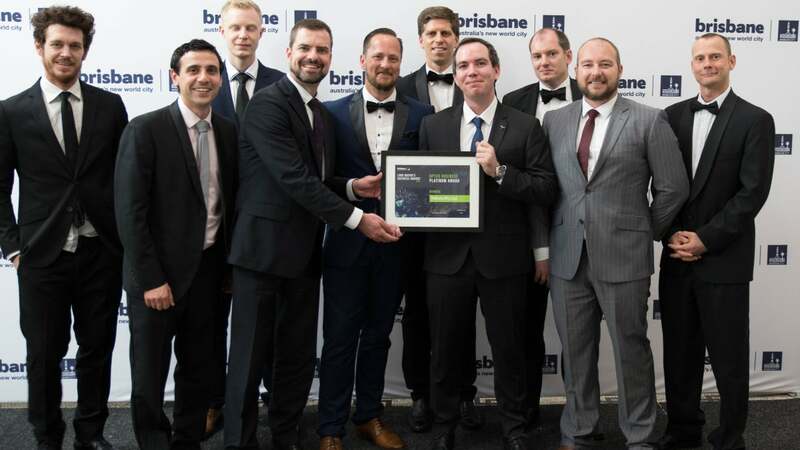 Brisbane, Australia – October 20, 2018 – Tritium Pty Ltd, the Brisbane-based DC electric vehicle charging infrastructure solutions specialists, scooped the prestigious Lord Mayor’s Business Awards by taking home the Optus Business Platinum Award – the night’s top award – as well as the Queensland Urban Utilities award for Product Innovation. 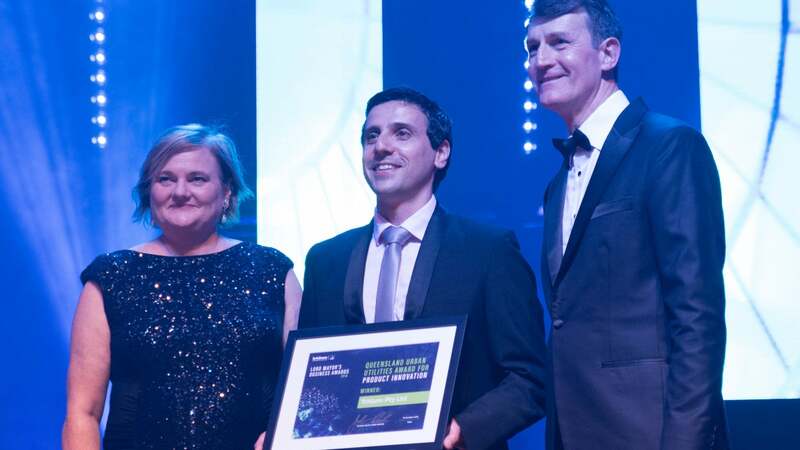 The awards were accepted by Paul Sernia, Chief Product Officer and co-founder of Tritium, at a gala event held at Brisbane’s iconic City Hall last night. 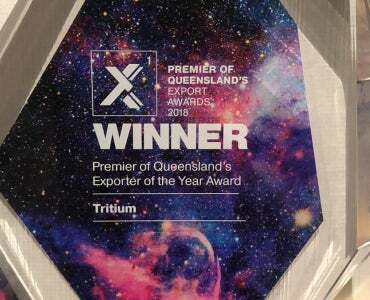 These are the third and fourth Lord Mayor’s Business Awards for Tritium, having won the Business Innovation award in 2013, and the New Investment award in 2016. Tritium, founded and headquartered in Brisbane, is a world leader in fast-charging station technology with deployments in 26 countries. In Australia alone, Tritium has more than 70 per cent market share. The company took home the awards for its latest EV charging solution: the Veefil-PK 175-475kW high-power charger (HPC). It can deliver 150km of range to an electric vehicle in just five minutes of charging. With the capability to deliver up to 475kW it is the most powerful charger in the world today. Following the successful export and installation of a dozen HPCs to a pilot site in Germany as part of the IONITY network – which aims to install 400 sites in total across Europe – Tritium was chosen by IONITY as a technology partner to supply up to 400 chargers across a further 100 sites across Germany, France, UK, Norway and Sweden. IONITY is a joint venture of the BMW Group, Daimler AG, Ford Motor Company and the Volkswagen Group including Audi and Porsche. 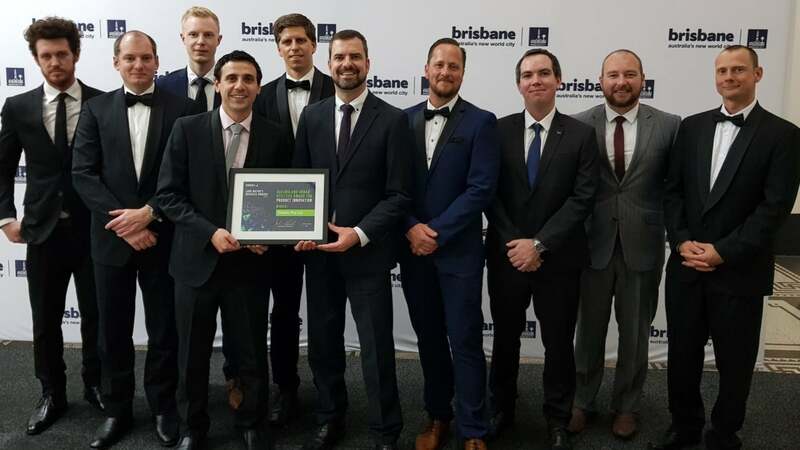 “Our company started out when three young students – myself, David Finn and James Kennedy – met at the University of Queensland, and it’s been amazing to watch this company grow and lead the world when it comes to EV infrastructure solutions,” said Sernia. “These awards are simply validation of all of the hard work every member of our staff has put in since we last won a Lord Mayor’s Business Award two years ago. “We now have more than 250 staff and growing and offices in the US and Europe, yet we still design and manufacture everything in Brisbane and we’re proud to call it home. In addition to Tritium’s agreement with IONITY, the company continues to lead the way in the 50kW DC fast charger market in Australia and around the world. This year alone, Tritium has signed deals to supply at least 40 Veefil RT-50kW DC fast chargers for the NRMA’s charging network rollout across the state of New South Wales in Australia, and a separate deal to supply 12 Veefil-RTs to NKM Mobilitas Ltd. (Mobiliti) in Hungary. Recently, Gilbarco Veeder-Root, the worldwide technology leader for retail and commercial fuelling operations, announced it had taken a minority investment in Tritium to enable it to accelerate a number of strategic activities, including operational expansion in Europe and the USA to keep pace with a fast-growing market.